1969년 전남 고흥에서 태어나 중앙대 문예창작학과를 졸업했다. 1994년 실천문학신인상을 받으며 작품활동을 시작했다. 소설집 『매향(埋香)』 『국경을 넘는 일』 『늑대』, 장편소설 『여자 이발사』가 있다. 신동엽문학상, 채만식문학상, 오영수문학상, 현대문학상을 수상했다. 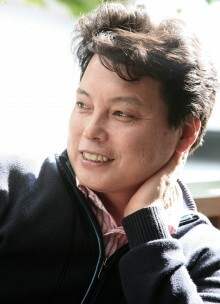 Jeon Sung-tae started his career in 1994 by winning the Silcheonmunhak New Writer’s Award for his short story “Chicken Beating”. His published works include Incense Burial and the biography Kim Joo-yul. He is recipient of the Shin Dong-yeop Creative Work Award and Daesan Creative Writing Fund.